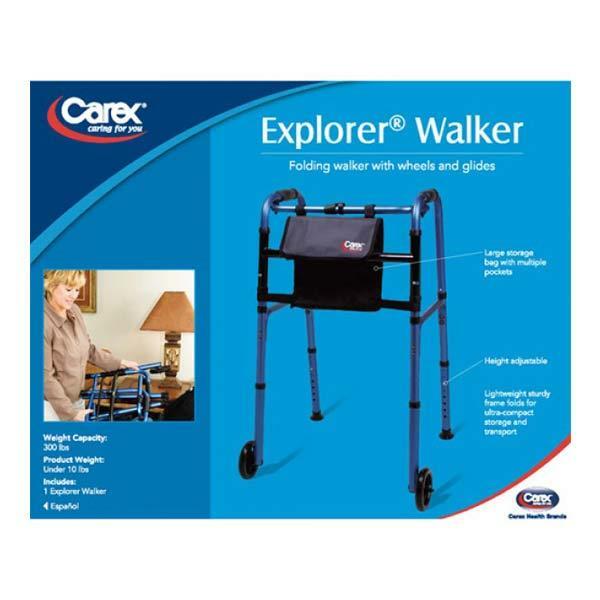 This Carex Explorer folding walker with wheels is lightweight and comes with 5" wheels perfect for travel or storage. 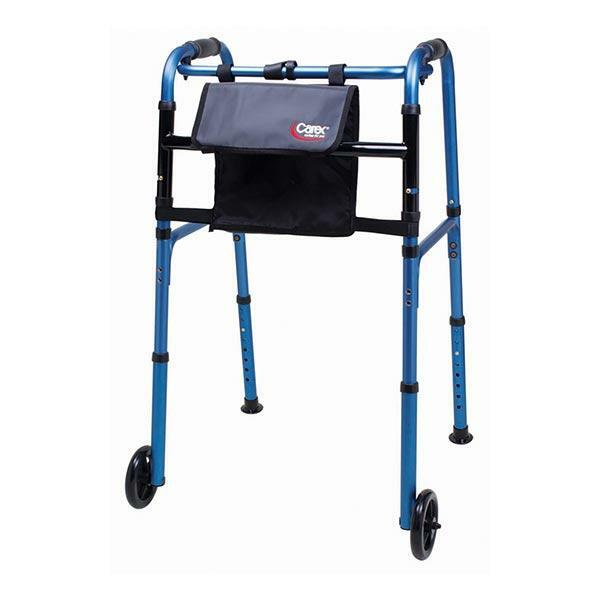 It comes with a practical and handy storage bag, the wheels are designed to help you move smoothly without the need to lift the walker. It is fully height adjustable for your comfort and safety. Weighing only 9 pounds it is lightweight and portable.